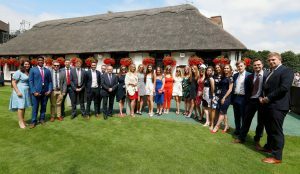 Applications for the British Horseracing Graduate Development Programme 2019 are now invited. This Programme, celebrated its 25th running in 2015, provides an invaluable source of talent to the sport and its supporting industry. Its starts in July with a FREE 2 week residential course in Newmarket. Following this, paid industry placements usually start immediately and last for at least 8 weeks. Applications will close on 28th February 2019. For more information and details on how to apply, please click here.